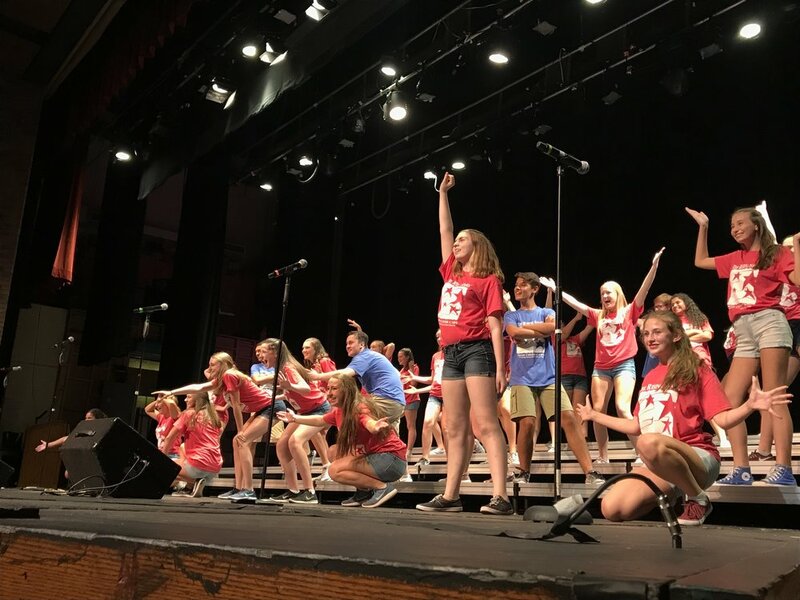 Rising Stars® Camp is a week-long summer show choir experience for performers ages 3 through high school. 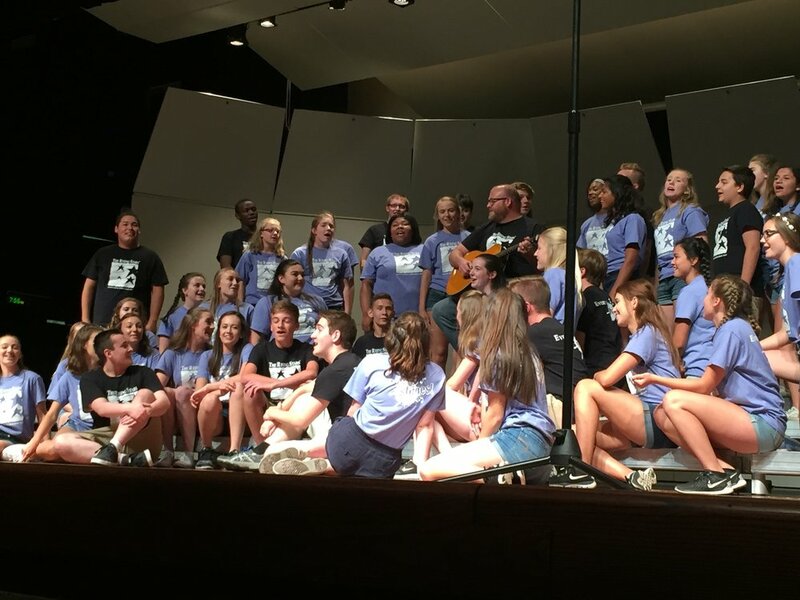 Having hosted over 20 years of summer camps, we excitedly continue the tradition of bringing music to students from more than 40 different schools! Each of our camps is unique to the community we serve. Join us for our summer camps & workshops! We offer 4 sessions throughout summer for students all over the Chicagoland area. 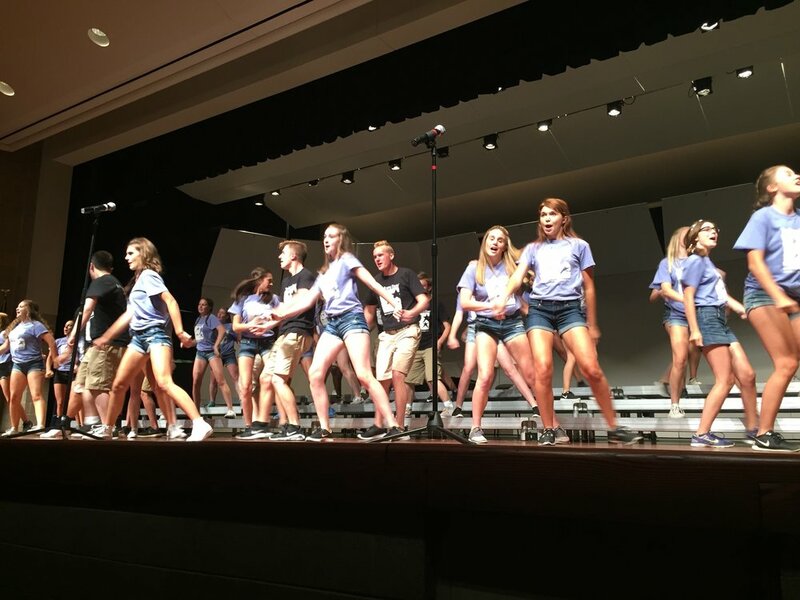 We pack each session with music, dance, & performance! Our camps provide a fun, safe, environment for young people looking to explore and develop as performers. We place children in groups of a similar age, so our participants make great friends who share their interests. See our information, below, register online, or contact us today! Fee: $250 ($265 after May 15) *new location introductory discount! *Performers in grades 1 or 2 are eligible for 1.5 or 3 hour session at parent's discretion. Location: Mundelein HS, 1350 W. Hawley St.
* By registering my child(ren), I agree to the policies stated and to allow pictures of my child to be used in future publications. If you wish FOR pictures to not be used, please contact us. 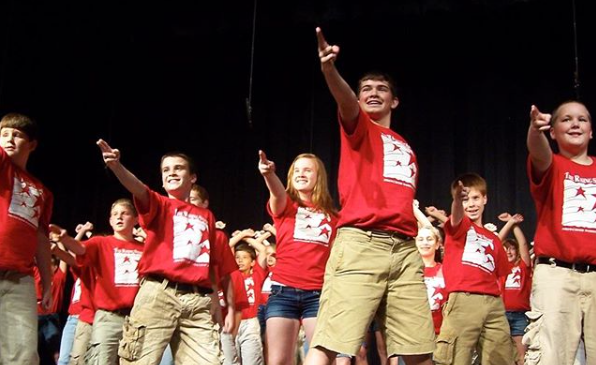 Rising Stars Camps, Inc. cultivates great performance in students of all ages. 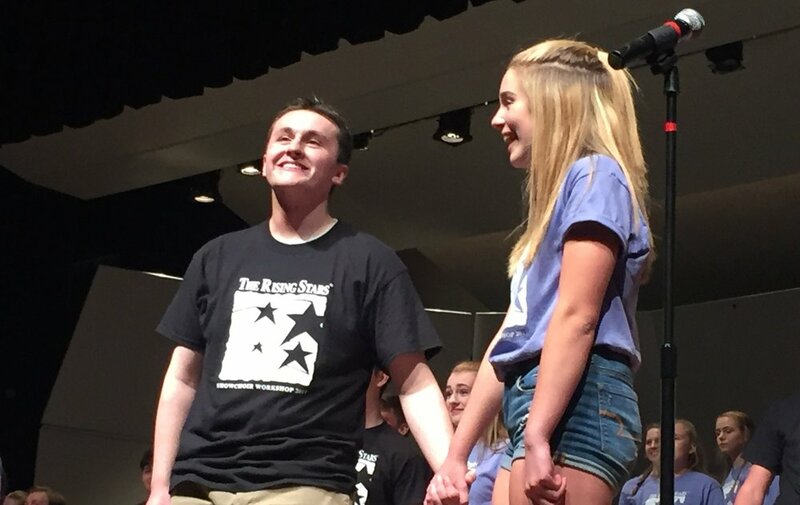 Finding "the star within" is fun & attainable for your child! We engage, teach & inspire, so our students shine!